4 posts categorized "Decor Elements"
I took a clear glass plate and put the Oct. 31 from Spooky Things Decor Elements in the center of the plate. I took the Circle Scissor Plus and Glass Mat, cut 1 circle out of the Designer Series Paper Wicked Fun. I took the scroll image from Friends 24-7 Stamp Set inked it in Cajun Craze ink and stamped randomly on the DSP. I cut a piece of Designer Series Newsprint crumbled it up and sponged Old Olive, Cajun Craze and Rich Razzleberry ink all over. I sponged Basic Black ink around both pieces of DSP. I then wrapped 1/2 Lace Trim Raven at the top of the DSP Newsprint. At the top of the plate I cut a piece of 1 1/4 Old Olive Grosgrain Ribbon in half I frayed the edges then tied a bow. I add in some pieces of 5/8 Rich Razzleberry Satin Ribbon. I also cut a strip of 1/2 Lace Trim Raven and worked that into the bow as well. I took the 1 3/4" Scallop Circle Punch, punched out a piece of DSP Newsprint. I stamped the scroll image from Friend 24-7 Stamp Set in Cajun Craze ink. I then sponged Old Olive, Rich Razzleberry and Basic Black ink on it. I added Designer Jewels Black Flourish to each scallop. I punched out a piece of Rich Razzleberry card stock with the 1" Circle Medium Punch. I sponged Basic Black ink around the edges an snailed to the center of the Scallop Circle. In the center I added a Designer Button Regals with some 1/2 Lace Trim Raven tied through it. I took the Bitty Bat Large Punch, punched out 2 bats in the DSP Newsprint. I sponged them with Cajun Craze, Old Olive, Rich Razzleberry and Basic Black ink. I then added Designer Jewels Black Flourish for the eye. I love how this turned out and it was so much fun to create this!!! See I told you! I really went completely different route with it! lol I love it though and it is more me! I started by putting my Spooky Things Decor Elements on the Glass. I grabbed a piece of 8 1/2 x 11 Cajun Craze card stock to decorate. I took the image From the Crypt Stamp Set inked in Cajun Craze ink and stamped around onto the card stock. I then took the Raven from Dark and Dreary Stamp Set inked in Basic Black and stamped around on the card stock. I cut a piece of DSP Newsprint, stamped the Raven in Basic Black ink, crumpled it up and sponged the following colors Cajun Craze, Rich Razzleberry, Old Olive, Basic Black. I then snailed it to the left side of the Cajun Craze card stock. I took some 1 1/4 Black Stripped Grosgrain Ribbon, cut it and then frayed out the edges. I attached that to the left as well. I then took some Crochet Trim Victoria 5/8, folded it back and forth and placed it on the seam of the DSP and 1 1/4 Basic Black Grosgrain Ribbon. I then added Designer Jewels Black Flourish to every other loop. I took the Color Spritzer Tool and the Cajun Craze Stampin' Write Marker; and spritzed all over the completed piece of card stock. I put the card stock in the frame and closed it up. In the upper left hand corner I took my other half of the 1 1/4 Basic Black Stripped Grosgrain Ribbon; frayed the edges and made a bow. I took the Crochet Trim Victoria 5/8 made a bow with it and attached it to the other bow. In the center I placed an Antique Brad to finish it off. I then took Jewels Basic Pearls and added them to the glass to dress it up a little more. I love how this turned out!! It was so much fun to make this too!!! Today I am sharing another gift that I made for a friend! It was very hard to take a picture of this because no matter what I did I had a shadow or the lighting was bad, so this was the best one out of all of them that I took. I purchased the frame at Walmart, it had a spot for 3 pictures but I took out the mat. I placed some of our Designer Series Paper Merry Moments behind the glass. On the glass I used the Decor Elements Holiday Mix from the mini catalog and used the word Joy. In the corners I placed the Holly Berries. I had a lot of fun creating this gift!! 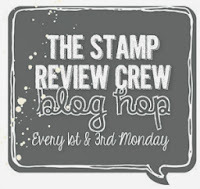 On Friday I will have a sneak peek for an upcoming blog hop that I am in this weekend! Be sure to check back!!! Were featuring product out of the Occasions Mini!!! If you would like to purchase the supplies I used to make this project or place an order you can place an order HERE, email or call me to!! Good Morning!! Happy Thanksgiving!!! This is my favorite holiday out of the year!! I love the smells and the food :) Apple pie is my favorite pie!! I hope everyone has a wonderful and safe Thanksgiving!! In honor of Thanksgiving I created the project below! I have to confess I've had this Decor Element since after convention last year and never got around to making this project. lol However this year I did and I made it for our home!! This was my first time using a decor element and yee gads they are awesome!!! Why have I waited so long to play with them!!! They are fun and so simple to use!!! I used Season of Thanks Decor Element size small in Chocolate item #114887. I also used Autumn Traditions Designer Series Paper item #115668 along with my Big Shot and the Leaves #2 Original die. 1. I choose a picture frame for this project. You will need to clean the surface where your going to be placing your Decor Element make sure its dry to before applying it. I put the Decor Element on first, I actually cut it apart and then put it on it made it easier to work with I think. 2. Then I took our Autumn Traditions DSP and cut 2 1/16" x 11" strips in the different patterns. Now you think how did she get that on straight well I'll let you in on my little secret. I took a piece of our Grid Paper and cut it down to fit into the frame and then sticky stripped the pieces on top of it. Worked great!! With our grid paper I was able to line up everything straight and perfect! I took some of our Ribbon Originals Orchard and ran a strip down one side. I secured it to the back with glue dots. 3. I took my Big Shot and Leaves #2 Original Die and ran some leaves off in the Autumn Traditions DSP. I took a Sponge Dauber and added ink to the edges. I placed them, where there was holes from the wording to fill in. I added a Chocolate Chip Corduroy Button with some natural hemp too. On two of the leaves I added some Natural Hemp to jazz them up a little. Acc.~Big Shot, Leaves #2 Original Die, Ribbon Originals Orchard, Natural Hemp, Corduroy Button Chocolate Chip, Sponge Dauber, Dimensionals.